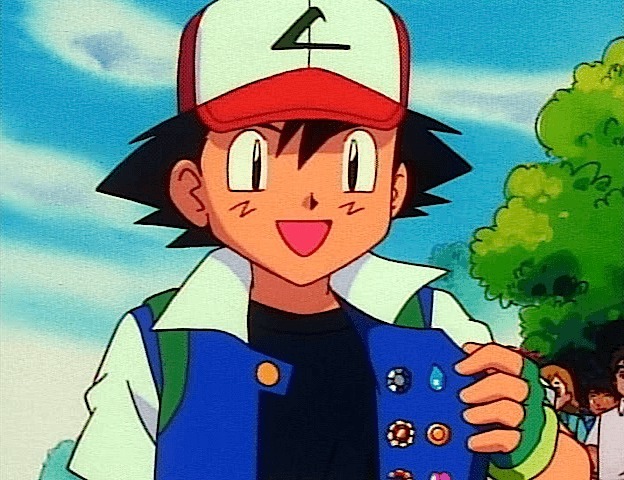 Yeah, I picked up a few badges. Hey SixPrizes Underground! This is my first article for you guys, but not my first time writing for the site. I won’t explain who I am like I did in my other articles, but I will say that a lot has changed about my attitude as a player since the last one. I’ve had a very successful season, following my Regionals win in October. I nearly maxed out my Cities points, getting three 1st places and a 2nd. I used Snorlax/Lugia, otherwise known as “Snorbax” or “Yeti” to win the three, and I used Snorlax/Accelgor to get the 2nd. All of these Cities were held during the Texas Marathon as well, meaning they were by no means easy wins. After the marathon, Snorlax/Lugia really grew on me. I only played it 4 times throughout the marathon, but I won three of the four times I used it, and had a record of 21-4-3 after the four tournaments. I took this heavily into consideration as I was preparing for the Winter Regionals in St. Charles, MO. I had crossed off most “meta” decks off the list as far as my options went, which left me with only two choices: Snorlax/Lugia and Snorlax/Accelgor. This was a very hard choice for me to make, as I liked both decks, and felt like either were decent plays. The main problem with Snorlax/Accelgor was the 50 minute time limit, which ultimately scared me away from the deck altogether. What really closed the decision though was my friend Austin Baggs, who flipped a coin to decide what I’d play. He definitely “chose” the right deck. As you can see, I only played against four different decks, six being Virizion/Genesect decks, three Darkrai/Garbodor, three Rayquaza/Emboar, and a Darkrai/Hydreigon. I had expected Virizion/Genesect to have a large showing, as it has a solid matchup against Darkrai/Garbodor, which picked up hype after Michael Pramawat’s win in Virginia. Nearly every single loss that I had came down to the wire, or even a coin flip. I felt like my deck choice as well as list were nearly perfect for the tournament. The list looks fairly normal, but there are a few things that may stand out. The main difference between a lot of lists and mine are the 3 Max Potions. Most players only play one or two, which is fine, but I prefer a higher count. They help out the Virizion/Genesect and Darkrai/Garbodor matchups tremendously. I also play 3 Shadow Triads, which some see as odd. Personally, I think the deck wouldn’t work without Shadow Triad, as it’s such a clutch card late game. 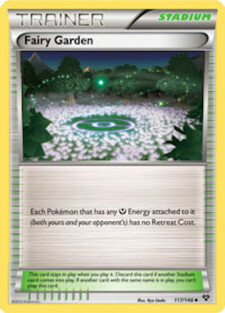 Being able to get back any Plasma Energy or Frozen City is very important in certain matchups and situations. A late addition to the deck was the lone Mewtwo-EX, which was a soft counter to the Dragonite/Garbodor deck that was piloted by Dylan Bryan in Virginia, as well as any other Silver Mirror tricks. Those conundrums hardly came up, but I had Mewtwo just in case. I wasn’t interested in taking any auto-losses, so I dropped my 4th Colress Machine for it. If I could go back, I’d definitely drop the Mewtwo-EX for the Colress Machine, though. 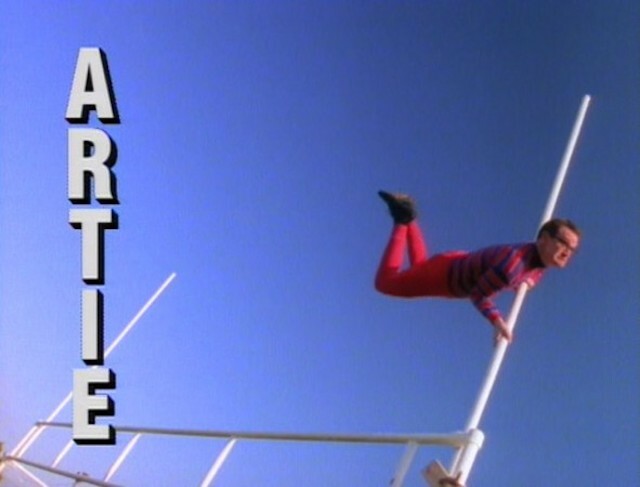 There were so many times where I could hardly hit it, or had prized one or more. So, with 3 Cities wins, a Top 8 at a Regionals, and 2 League Challenge wins, Snorlax/Lugia has become one of my favorite decks in the past few years. I feel like it’s one of the few decks in this format that takes some skill to be played correctly. It’s definitely a lot more intensive than just charging up a Snorlax or a Lugia and going crazy with it; you have to use Genesect-EX correctly, know when to start attacking, manage how many of which resources you have available, and figure out what to bench. That about covers my Cities and Regionals runs, so let’s get to the main point of this article: Snorlax/Lugia in NXD-XY. 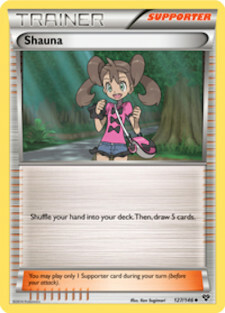 Looking at XY, the set appears great. The cards all seem decently balanced, and most of the EXs aren’t completely overpowered, but the main thing that sticks out to me is… Muscle Band. This card alone makes Lugia-EX one of the best cards in the NXD-XY format. Now, with 3 to 4 Deoxys-EX benched, Lugia is able to swing for an absurd 170 to 180 damage, knocking out nearly every Pokémon in the game in one hit. On top of that, you take an additional Prize because of ‘Overflow.’ That means Lugia could take all 6 Prizes by turn two, which is insane, but pretty hard to pull off. I’ve kept it fairly similar to my old list, but added a few new XY cards to the mix. I, of course, added Muscle Band into the deck. I felt like 3 was a solid number, as you don’t want to draw too many, but you still want to have them when needed. It’s better than drawing 4 or less. The other addition to the list was a 1-of Shauna. I’m just messing around with this over my 4th N, as I usually take Prizes in chunks of 3, and take them quickly. There have been plenty of times where I would reluctantly N my opponent out of a bad situation, when I really only wanted to give myself a new hand. Shauna won’t help my opponent, but it also won’t harm them either, which N can do late game. If you think there’s going to be a decent amount of Garbodor or Tool Drop based decks, you may want to find room for another Tool Scrapper. I only added one to the list because there aren’t many in my area, but that could differ for others. I’ve upped a few of my Pokémon counts to make drawing them much easier. Adding in the 3rd Lugia would mean I’d start with it more, and I’d have access to an extra one later in the game that I usually wouldn’t. Adding in the 4th Deoxys allows my Lugia to hit the magic 180, but the only downside of that is that they take up 4 Bench spots, leaving you with one spot for another attacker. Snorlax is still a great card, but now that Yveltal-EX is a thing, he can be countered by Darkrai decks much easier. I’ve still kept one as an out to ‘Safeguard’ Pokémon, as well as a solid attacker if needed, but I felt like having two wasn’t necessary. I kept the Energy the same for one reason, and that is Enhanced Hammer. Now that Darkrai decks are one of the top contenders again, you’ll see more Enhanced Hammers than you did before. That is the main reason I kept 4 Lightning over 4 Prism. The other reason is that with the rise of Yveltal, Mewtwo has become less significant, meaning you won’t need to use Helix Force nearly as much. That about wraps up my analysis of Snorlax/Lugia, so I’ll move onto a deck that has received a bit of attention lately. A few weeks ago I had this idea, but was skeptical at first. It seems extremely strong, but I was worried that it would be too slow, too clunky, or just wouldn’t work out at all. After some testing, a lot of work, and many different lists, I’ve ended up with one that I feel comfortable with and would like to share. There’s a lot to cover about this list, as many of you may not be very familiar with this deck. I’ll start out with the Pokémon, move into the Trainers, and then explain the Energy choices. First of all, you can see this deck has many different options. It can fit any type of attacker for any situation. That’s the thing that turns me onto the deck the most, the ability to surprise the opponent by using Weakness to wipe out their fully powered attacker out of nowhere. 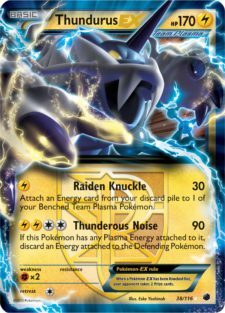 Thundurus is your Energy acceleration. I’m sure you’ve heard of this trio. We’ve seen this deck have quite a bit of success, and it’s obviously a very strong combo. The reason I included it in this sort of deck is to provide Energy acceleration mainly, but they also provide two strong attackers in Thundurus and Kyurem. Thundurus covers Yveltal-EX, which is a huge threat since he has the ability to OHKO a weak attacker or even your biggest attacker. Kyurem recently saw a solid finish at the St. Louis Regionals, piloted by Evan Baker to 2nd place. This came up out of the blue, as most players had stopped playing Kyurem in their decks, and instead ran Lugia or Snorlax. 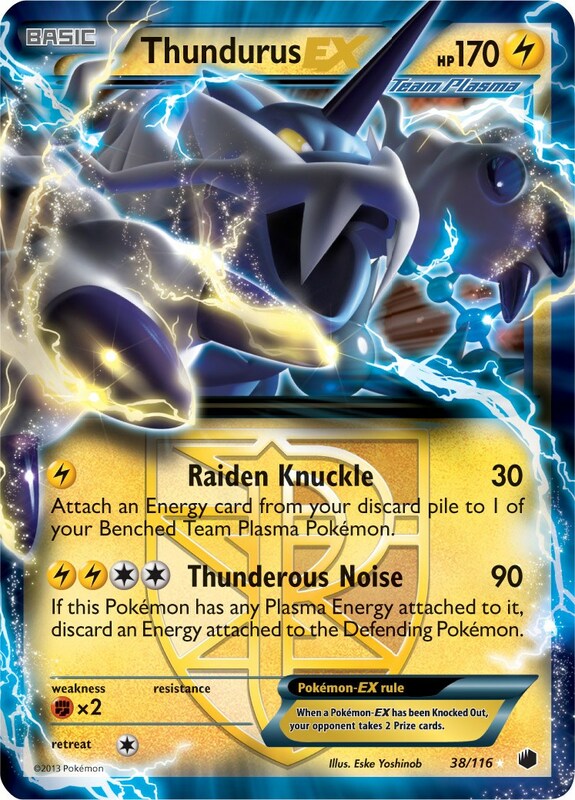 Kyurem is a strong attacker and is a Plasma Pokémon that you can Raiden Knuckle to. I don’t have much to say about this card, as most of you already know how strong it is. When we look at the field, we see Darkrai/Yveltal being a top contender. We’ve already got Thundurus to cover Yveltal, but we need something strong to counter Darkrai-EX. It can’t be fragile since Yveltal is easy to power up and can do large amounts of damage. When we glance over our Fighting-type EXs, there are only a few options. I picked Terrakion-EX over the others because he does the perfect 90, which is able to take out a clean Darkrai. ‘Pump-up Smash’ is a strong attack, which will allow you to attach any Fairy Energy you might have sitting in your hand. 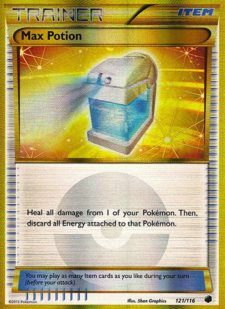 It’s also bulky, so you don’t really have to worry about it getting knocked out in one hit by an opposing Darkrai/Yveltal deck. 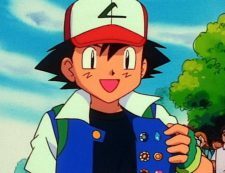 We’ve seen Safeguard Pokémon single-handedly win matches in the past. Its Ability is still extremely strong, and can put any deck into a bad position. I chose Suicune over Sigilyph LTR since it has 10 more HP, which prevents it from getting OHKO’d by a Rayquaza’s Shred. It’s also able to take out a Delphox in one hit, which makes it even better. We saw this card win the Battle Fiesta in Japan last month out of nowhere, and I can say I’ve messed around with the list and I actually like it a lot. 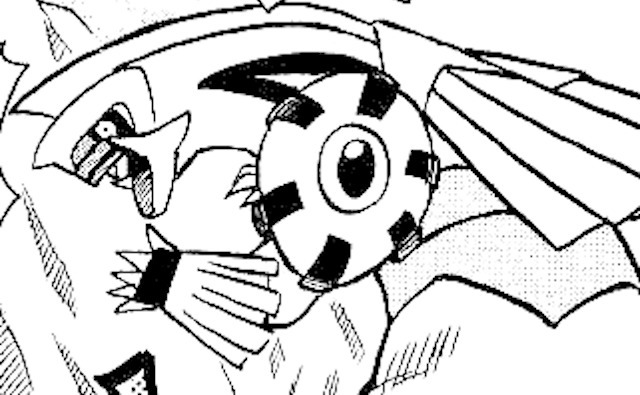 But Palkia is in here for a different purpose, of course. With 2 Deoxys-EX and a Muscle Band, Palkia is able to do the magic 180 on opposing Black Kyurem and Rayquaza-EXs, and then can move right into a Suicune PLB to hurt the opponent even more. There aren’t many options as far as strong Dragon EXs for this deck, but this one is definitely my favorite. One of my most loved, and yet hated cards of this format. After a lot of testing, I’ve realized how strong this card really is. It’s almost the same as Mewtwo, but isn’t weak to itself, and its attack is slightly better. I included it in this deck to cover Trevenant, which is a big nuisance. It’s also great to close out the game with a huge Evil Ball. 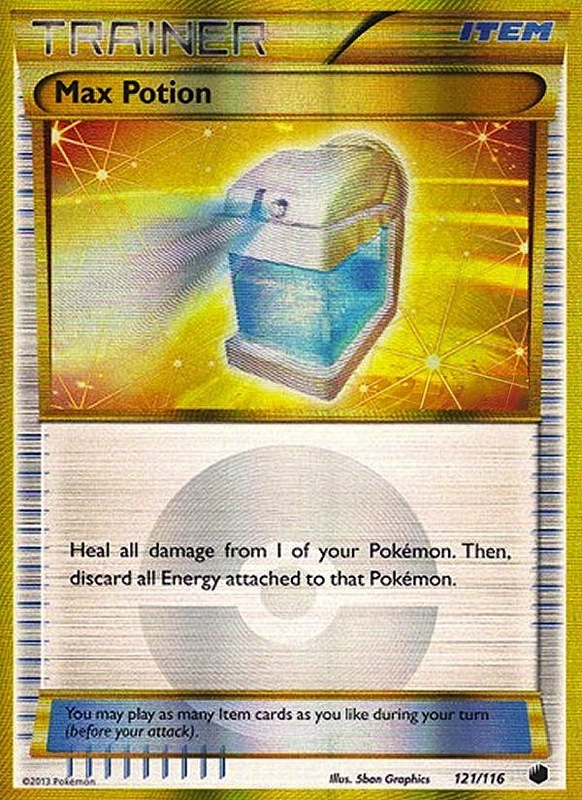 I rarely ever attack with this since it doesn’t do very much damage, but it is great to prevent Hypnotoxic Laser and Accelgor from running over the deck. I chose this over Slurpuff since it’s a Basic and doesn’t require as much work to get into play. Helps get Raiden Knuckle going. I run 4 Fairy Garden to give everything in the deck free retreat. I love getting this card down early so that I can get a quick Raiden Knuckle if I don’t start with Thundurus, and I feel like 4 is the right number. I could see cutting down to 3, but I feel like it’s important enough to warrant being maxed out. The Supporter line is fairly simple; it’s somewhat similar to my Snorlax/Lugia’s Supporter lineup, but missing the Shadow Triads. I rarely run cold with these counts, but they could be mixed up to fit a player’s “playstyle,” of course. The Items explain themselves for the most part. I tried to stray away from a bunch of one-ofs, and ended up with what you see. 3 Ultra Ball are nice to get the Energy in the discard pile and grab whatever you need. I chose Dowsing Machine due to its flexibility. It’s easily my favorite ACE SPEC, and it goes fine in this deck. Andrew Zavala included Plasma Energy and Colress Machines in the list he posted on his own website, but I feel like that takes away from the deck’s synergy. I like being able to move all Energy on the field, instead of sticking a Plasma Energy out there and then wasting it off with a Max Potion. I’ve found that the deck can live without the extra acceleration, as long as you get in some early Raiden Knuckles. This deck has a major problem against Enhanced Hammer, which is what scares me about it the most. It’s a great deck, but you have no real out to having all of your Energies being discarded, unless you can continue to Raiden Knuckle consistently. The only way to really get around this is to play a few Lightning Energy, but that cuts from the synergy I mentioned before. 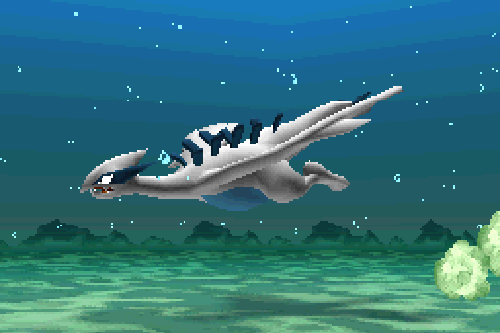 To conclude the article, I’m going to share my last Plasma variant, Speed Lugia. The point of this deck is fairly obvious: take 6 Prizes as fast as possible. This deck is literally the epitome of speed, playing max counts of Bicycle and Roller Skates, which may seem weird, but getting out everything you need as fast as possible is very important to this deck. Like Plasma/Aromatisse, this deck has a problem with Enhanced Hammer, but it can easily fit Lightning Energy to alleviate that weakness. The other main problem with the deck is Yveltal-EX, which is countered by Thundurus-EX, which with a Muscle Band and 4 Deoxys-EX in play can take out a clean Yveltal for one Energy. Like I stated earlier, Lugia becomes a huge threat with Muscle Band, being able to OHKO any clean EX to take 3 Prize cards due to its ‘Overflow’ Ability. If you do plan on taking this deck to some tournaments, I suggest you mess around with the list and see what you like, and change it to fit your playstyle. I’d also suggest adding Tool Scrappers and maybe a Snorlax if you expect Garbodor decks or any Suicune PLB or Sigilyph LTR. I hope you enjoyed my first Underground article and I can’t wait to start working on another, hopefully sometime before Nationals. I’m looking forward to this new format and to see how State Championships pan out, which are in a little less than a month! I, personally, will hopefully be able to pick up the last few Championship Points I need to lock up my invitation to Worlds, and also will attempt to stream the Texas State Championships for my friends at On The Bubble. Good luck to all of you at States, and remember to leave a “Like” if you enjoyed this article!